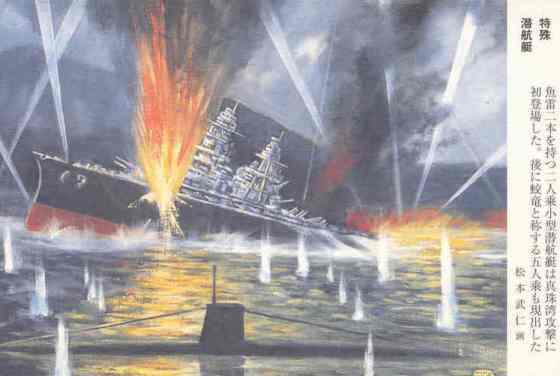 In 1999, the Tokkōtai Senbotsusha Irei Heiwa Kinen Kyōkai (Tokkōtai Commemoration Peace Memorial Association) issued a set of eight picture postcards of different types of special (suicide) attacks made during the Pacific War. The paintings on these postcards were created by four different artists. They were sold for a short time at Yasukuni Jinja's Yūshūkan Museum but are no longer available. 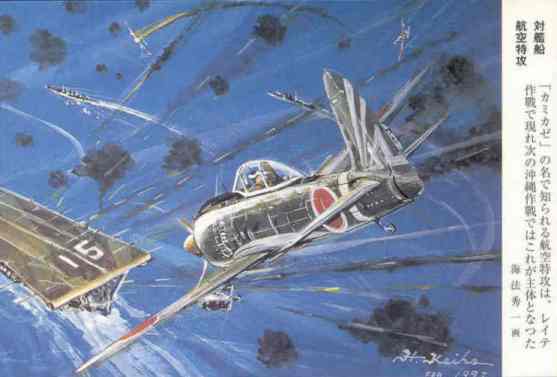 The picture postcards show that the Japanese military considered that special attacks encompassed much more than aerial attacks by kamikaze aircraft. The postcards along with English translations of the captions are shown below. Pearl Harbor. 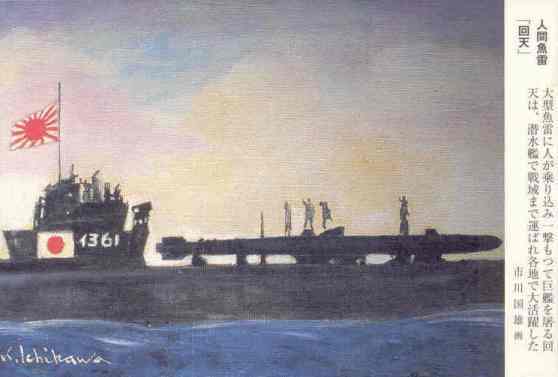 Afterward, five-main midget submarines called Kōryū also appeared. and made a taiatari (body-crashing) attack. This picture is a maru-re. 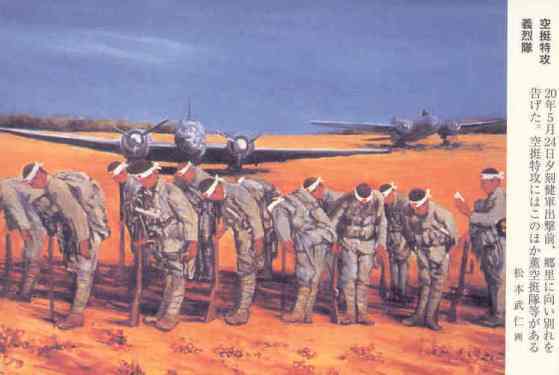 were stripped entirely of heavy equipment and used taiatari (body-crashing) tactics. 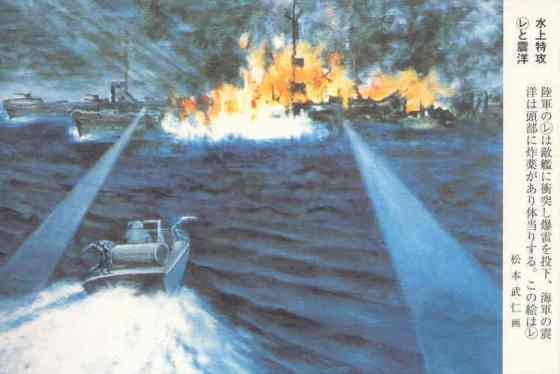 the Battle of Leyte and played a key role during the Battle of Okinawa. blow, was carried to the battlefield by a submarine. It was very active in many places. 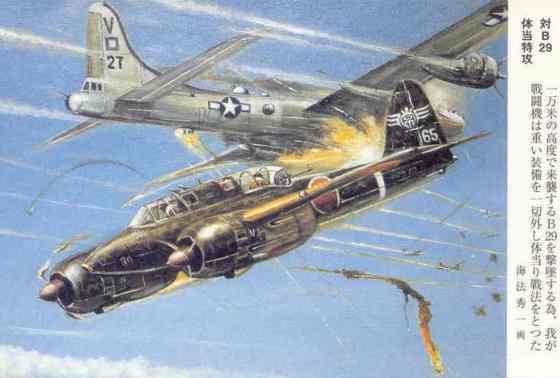 one way strafed B-29s at Saipan, and all of them did not return. 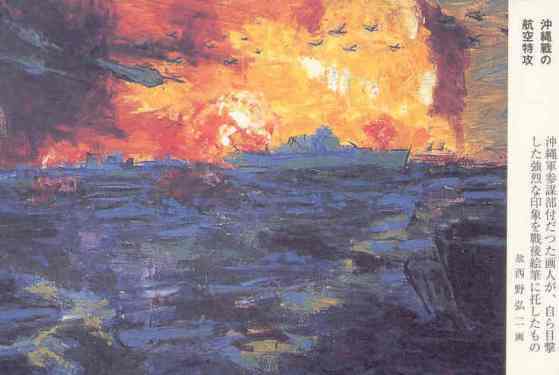 what the artist, who was in Okinawa military staff unit, witnessed personally. 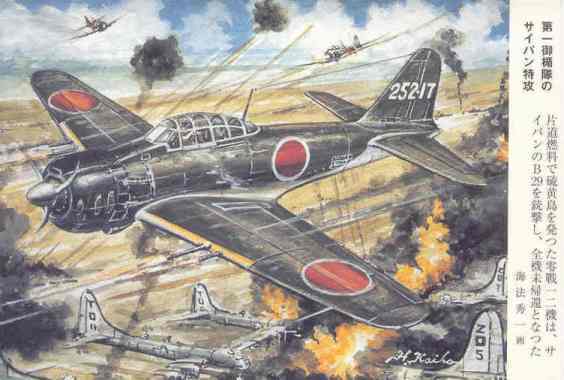 attacks, besides this there were Kaoru Airborne Unit and others.